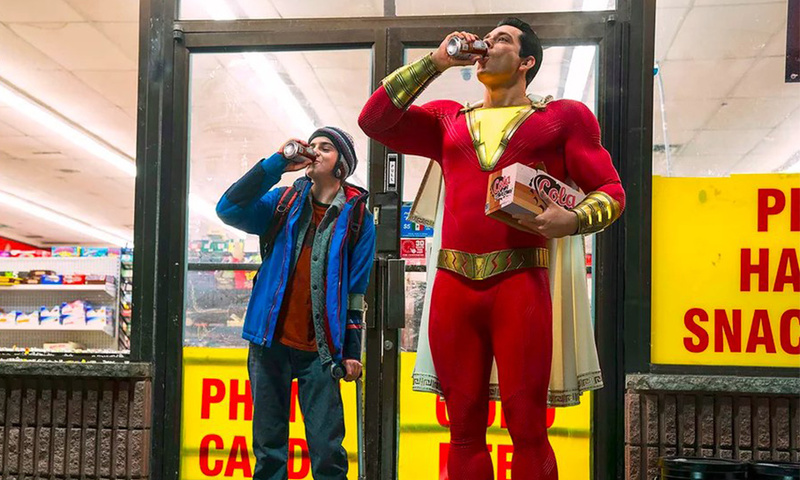 It has been teased Big and Superman and the first Shazam! trailer certainly lived up to the billing. 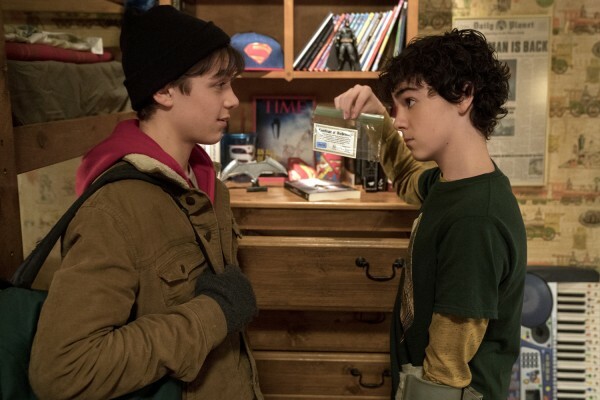 The first tease, debuting at SDCC, is for the DC adaptation of a 14-year-old boy named Billy who, when he shouts the word “SHAZAM!”, can turn into an adult superhero. 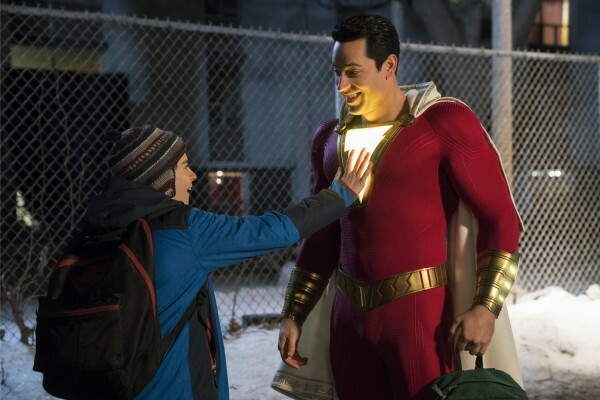 Directed by David F. Sandberg (Annabelle: Creation), the film stars Asher Angel as Billy Batson, while Chuck star Zachary Levi plays the adult Shazam. It breakout Jack Dylan Grazer plays Billy’s best friend Freddy Freeman. The film is firmly set in the DCEU, but stands in contrast to Batman v Superman and Man of Steel with a fun and “family-centric” tone. Mark Strong (Sinestro in the Green Lantern film) plays the villain, Dr. Thaddeus Sivana and the following cast set: Grace Fulton as Mary, Ian Chen as Eugene, Jovan Armand as Pedro and Faithe Herman as Darla. 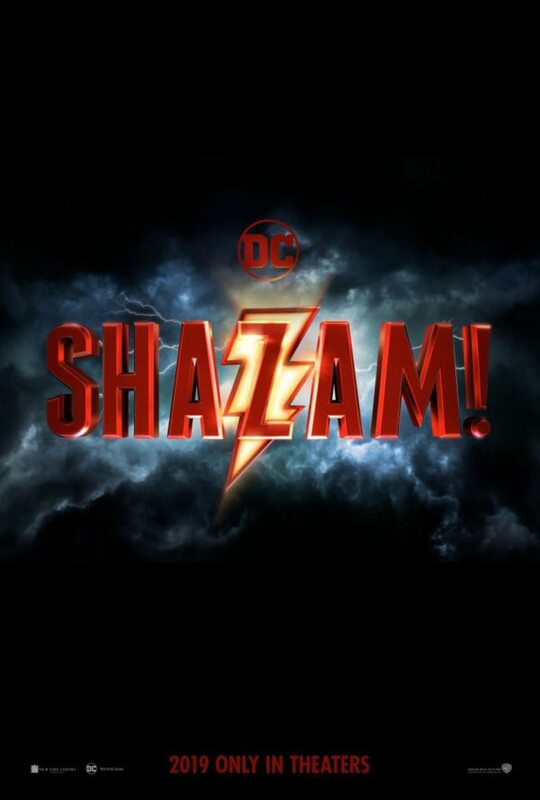 Adult versions of each character has been rumored, which almost certainly set up the appearance/creation of the Shazam Family: Adam Brody is Freddy Freeman; Michelle Borth is Mary; Ross Butler is Eugene; D. J. Cotrona is Pedro and Meagan Good is Darla. Levi likened the to Big with Superman and this footage sets that up perfectly. Djimon Hounsou (Guardians of the Galaxy, Amistad) was cast to play the sorcerer who gives young Billy Batson his powers. Cooper Andrews (Jerry on The Walking Dead) plays Victor Vasquez, the foster dad seen in the trailer. Shazam! opens four months after the next DC film, Jason Momoa’s Aquaman (Dec. 21 of this year) on April 5, 2019. While there is still no word, but there is a likely cameo of Dwayne Johnson as Black Adam. Doctor Sivana, way back in Shazam #28, was responsible for bringing Black Adam back using his reincarnation machine.